So, I'm not the world's best baker. But, I love making cupcakes. Not just your run-of-the-mill frosted cakes. But, instead more cutesy desserts. Given my serious lack of cooking skills, I feel like I have to make up for being a kitchen klutz with at least some creativity. A few years ago -- after watching one too many Food Network shows -- I decided that I could in fact make artistically awesome cupcakes. Of course, I couldn’t. But, what I did discover is that those little cakes sure do make a cool canvas for edible artistic creations. This is ideal for tiny tots who enjoy putting everything in their mouths. Why run the risk that your toddler will accidentally ingest all of the tempera paint, when he can “paint” with frosting? 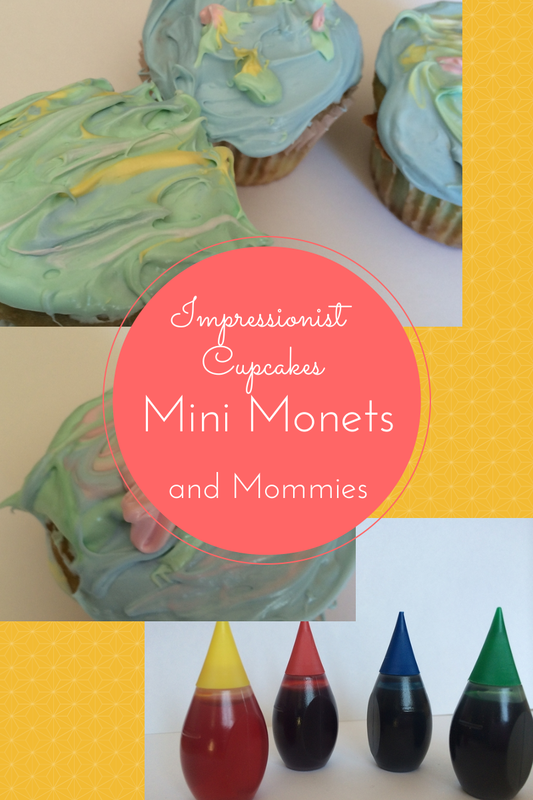 On to the art – creating Impressionist inspired cupcakes. You can use it to help your child learn about famous artists. 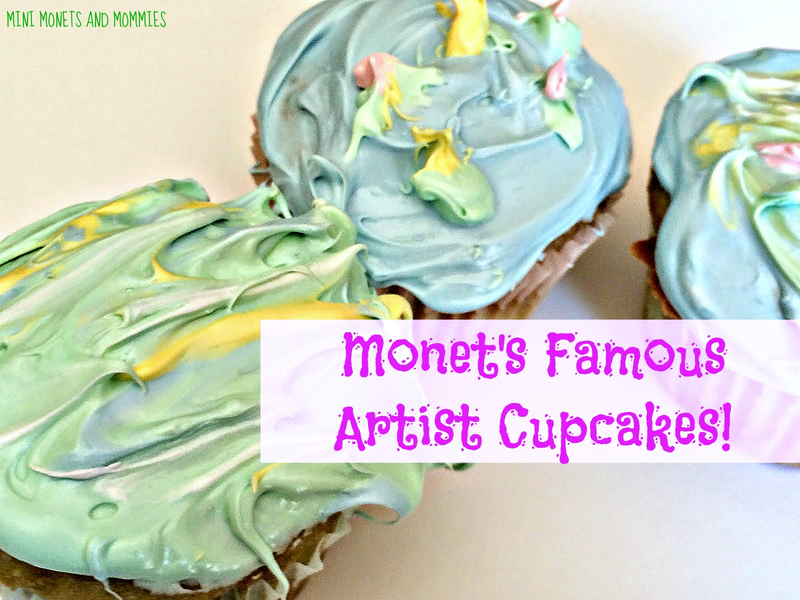 Go see a Monet at an art museum and then go home to recreate his “Water Lilies” on your cupcake canvas. If you aren't going to a museum soon, look at a picture online, get a reproduction poster or check out a picture in a book about the artist. · Cupcake batter mix: If you’re even a step above my baking skills, certainly feel free to make your own from scratch. I wanted to focus more on the artsy aspect than the baking part, and chose to use a boxed mix. In either case, chose a vanilla or white batter (chocolate is too dark for this activity). · Frosting: Again, I bought the ready-made kind, but you can make your favorite recipe f you want. And again, chose a vanilla or white frosting. · Food coloring: The primaries (red, blue and yellow). You can make the rest by mixing those. · Pearlescent sugar: If you’re not a baker, and have no clue what this is – you can find it with the sprinkles in the baking section of your local grocery store (it looks like shiny, colored sugar crystals). 1. Mix your batter (either from your own recipe or the box). Even if you use the boxed mix, this is still an excellent opportunity for your child to play with science and math concepts for real. Let him measure the water and oil. Have him mix the batter in a bowl, watching how the ingredients blend together. 2. Separate the batter into three or four smaller bowls. Add one to two drops of food coloring into each bowl. Take a look at a Monet painting first, and notice how the colors are more light than vivid. Mix up bowls of pastel colors. For example, a drop of red will make a light pink. Have your child mix together two of the primary colors to make a secondary, such as red and blue to create purple. 3. Place the liners into the pan. Pour the batter into the cupcake liners. Spoon a few different colors into each cupcake liner. Create layers of color, similar to the Impressionists’ brush strokes. 5. Let the cupcakes fully cool. 6. While the cupcakes are cooling you can mix up batches of colored frosting in bowls. Like the batter, create pastel or light hues. 7. Use the mini cakes as a painter’s canvas. If you have a thin baker’s brush, your child can brush on the frosting, creating a pond with lily pads, an outdoor garden or another similar scene. The Impressionists painted outdoors (or en plein air), focusing on naturally scenes, the season and the lighting at that specific time of day. If possible, take your cupcakes outdoors to re-create your backyard (sit at a table to work) or look out the window. Your child can also use his freshly washed fingers to layer on the frosting colors for a more abstract look. 8. Add an extra sparkle by brushing on the sugar. Create a glistening pond or reflection in a cupcake stream with the colorful crystals. Have fun with the cupcake art-making. Don’t stress if your little one’s cakes don’t look like Monet’s masterpieces. With younger children it’s often easier to pick one aspect, or goal, that you want them to get. For example, look at an Impressionist artwork with your child and ask him if he can see the brushstrokes (he can). Then, have him recreate a noticeable brush-stroke look on his cupcakes. And don’t forget, it’s your day so calories don’t count. Ok, so they really do. Are you looking for more cupcakes? 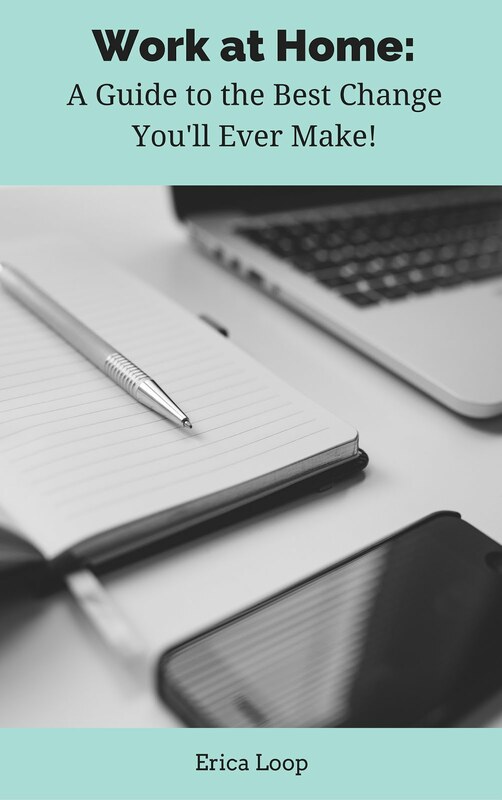 Follow my Pinterest board for ideas galore. My mind is racing to think of what other artists could inspire cupcakes. I'm pretty sure ours usually look like something Dali would make. i bet your kids rurally enjoy this! Love this idea!! And what a fun way to incorporate a little art appreciation. I'm pinning! Yum Yum Yummy - great recipe. Thanks for sharing and linking up with us at the #WWDParty. Very cute and creative. Thanks for sharing with #smallvictoriessundaylinky last week. Sorry I’m late commenting/pinning but do hope you link up again this week!